The Bishopstone Group of Parishes was created in 1974 and comprises two small villages of Bishopstone, and Byford with the outlying hamlets of Bridge Sollars, Kenchester and Mansell Gamage. It covers about 10 square miles and has a population of just under four hundred. The villages lie in the flood plain of the river Wye and on the rising land to the north of the river with extensive views southward to the Black Mountains and Hay Bluff. Their history of traditional mixed farming has created an attractive landscape which is a patchwork of arable, pasture, orchards, hedges and woodland. Garnons Park was landscaped by Humphrey Repton in 1794 shortly before the mansion was rebuilt. The remains of another Repton park are partly incorporated in the National Trust Gardens at The Weir. 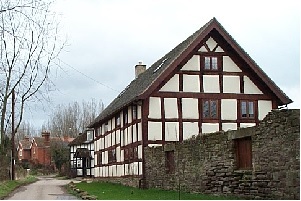 The Group contains numerous listed buildings as well as important historical and archaeological sites. It is particularly rich in Roman sites with a marching camp at Byford, a villa site at Bishopstone, and at Kenchester a riverside trading and villa complex and the walled market town of Magnis. Part of a pillar from Magnis is in Kenchester church re-used as a font. 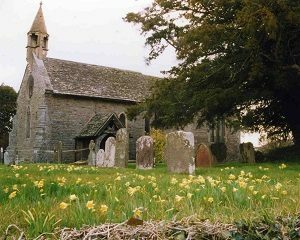 The Norman church at Bridge Sollars has carvings of the Herefordshire School and 15th century wall paintings in Byford church include rare early representations of the Mater Misericordiae and the Weighing of Souls. Garnons Park is included in the Historic England Register of Parks and Gardens of Special Historic Interest. There is a network of footpaths and bridleways within the parishes. The long distance Wye Valley Walk from Chepstow to Plynlimon and the Three Rivers Ride, part of the National Bridleroute Network developed by The British Horse Society, pass through the Group. 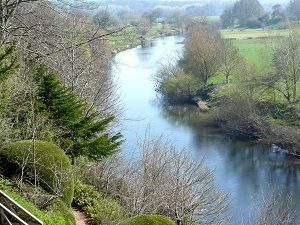 The river Wye is designated as a Special Area of Conservation due to its importance as a key breeding ground for many nationally and internationally important species of special interest and its associated plant and animal communities. Bishon Meadow is registered as a Site of Special Scientific Interest as a herb-rich neutral grassland and there are other designated Special Wildlife Sites at Kenmore Coppice and Garnons Hill.